Satin is bang on trend right now doll and this dress is perfect for the party season. 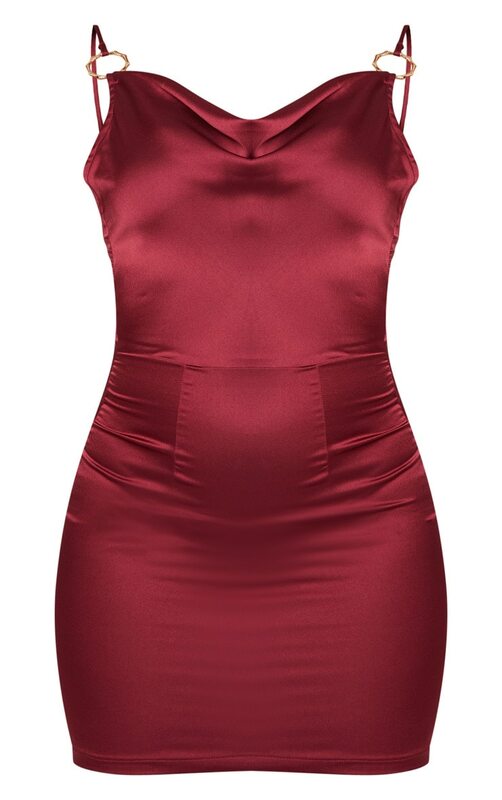 Featuring a burgundy satin fabric, flattering cowl neckline and figure-hugging fit. Style with gold strappy heels and add statement accessories for the ultimate killer look.